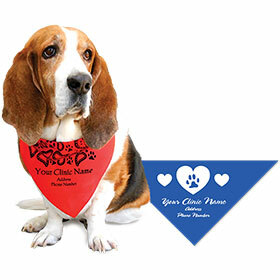 Send those adorable little pooches home with something their owners will actually keep and use, fancy personalized pet bandanas. 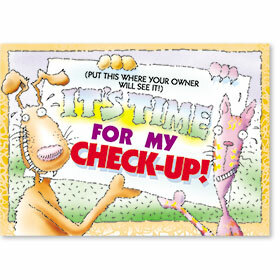 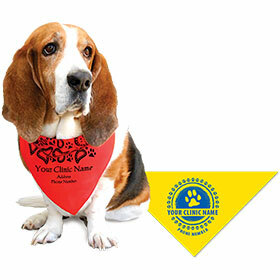 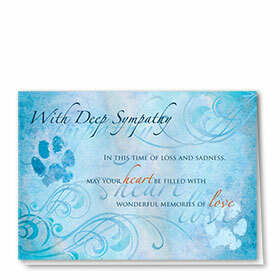 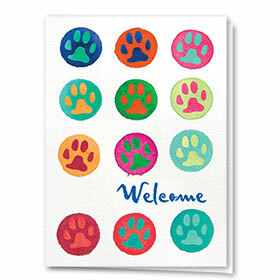 Our colorful dog bandanas are an inexpensive way to show clients you really care. 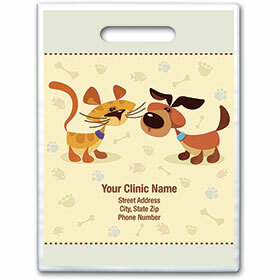 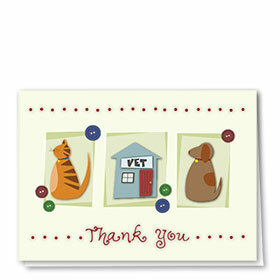 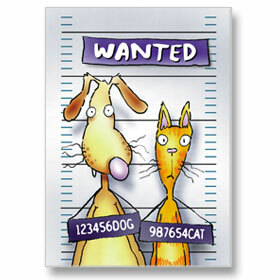 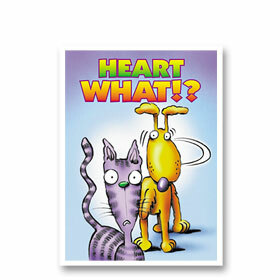 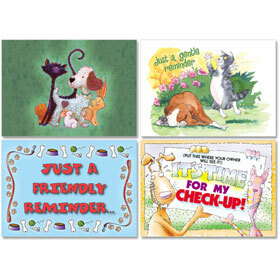 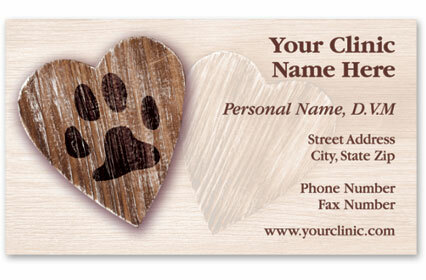 They also make great veterinary promotional items for organizations or events. 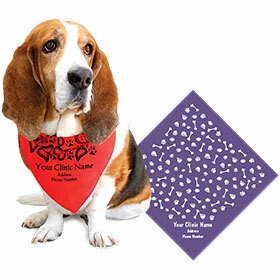 Dog handkerchiefs are available in small and large sizes plus square and triangle shapes. 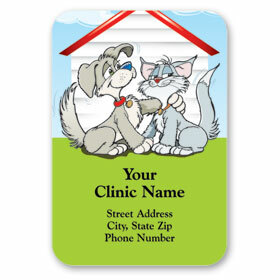 Each can sport your animal clinic name, logo and address on black, white, red, yellow, orange, kelly green, royal blue or navy blue.